Brainchild is the latest educational documentary series to be added to Netflix. Aimed at children, this bright and fun show is perfect for kids and all the family. It was created by Pharrell Williams and is hosted by the wonderful Sahana Srinivasan and is aimed at younger kids. 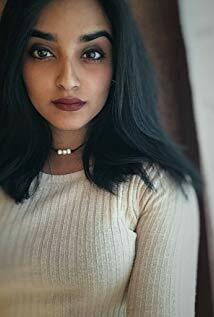 Sahana, 22, is an Indian American actress born in Houston Texas. She grew up in Dallas Texas and discovered an interest in the performing arts when she was young. Staying true to her roots, Sahana also loves to sing, play music and perform the Bharathanatyam. All of that creativity is perfect for her role on Brainchild. She is fun, engaging and incredibly likable. Teaching children about the world can be difficult. The shows need to be appealing and informative and that is exactly what Brainchild is. Taking everyday topics like Social Media, Space, Emotions and Germs and turning them into educational topics from which children can learn is genius. Using a host of experiments, that kids can play along with at home, with bright colorful graphics really holds their attention.